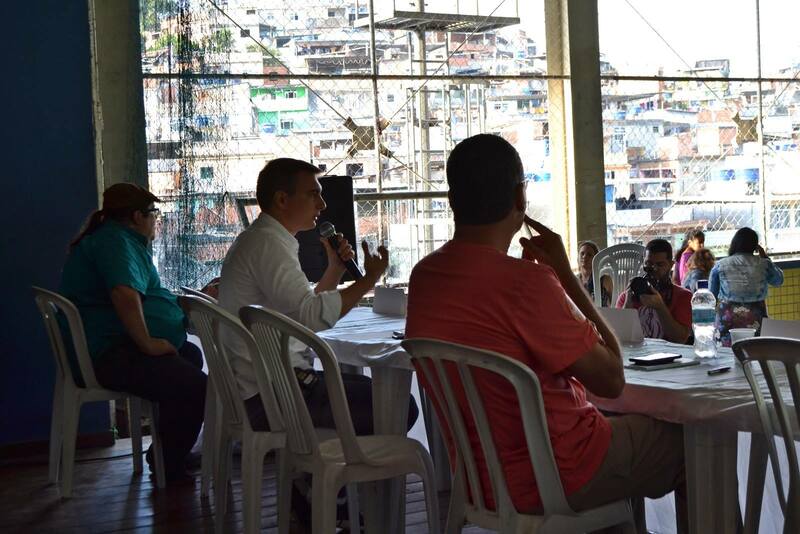 Vila Olímpica Carlos Castilho in Complexo do Alemão was quite empty as the Meeting Between Favelas and Gubernatorial Candidates in Rio, organized by the Favelas News Agency (ANF), began on Saturday, September 15. The low turnout was due to a police operation in the favelas of Jacarezinho, Complexo do Alemão, and Complexo da Maré that morning. “People who are leaving for work now—be careful. The army is all over Itararé,” relayed an audio message in a WhatsApp group, alluding to Estrada de Itararé, the road bordering Complexo do Alemão where the recreation center is located. “I’m not even leaving the house because it’s brutal. A lot of shooting,” reported a resident who said she would otherwise have attended the event. 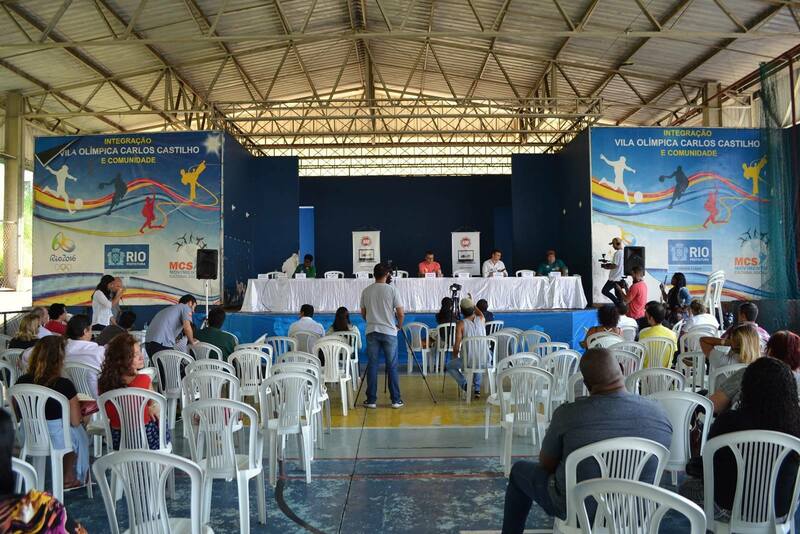 The organization decided not to postpone the event because it believed that the venue—located between the favela and the “asphalt” [formal urban area]—was safe and that the operation had already ended. It was not just the audience that was missing. 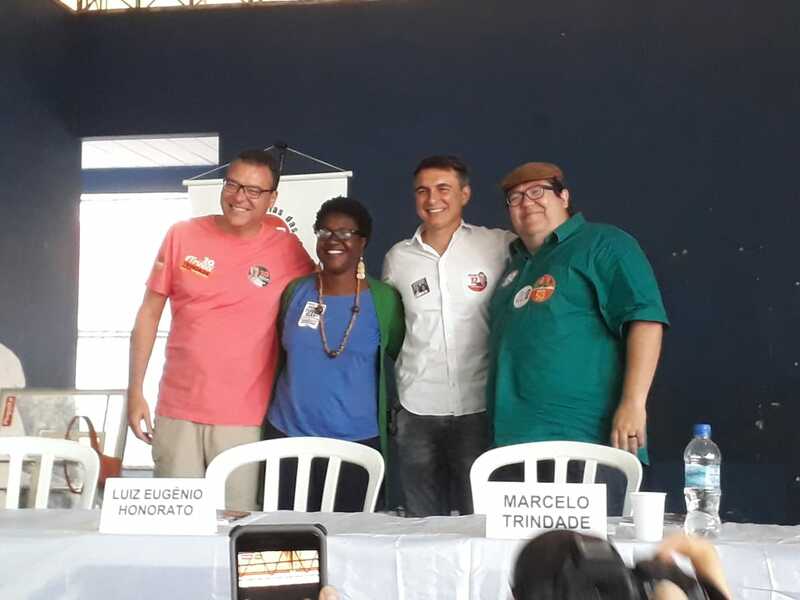 Of the eight confirmed candidates, only four appeared: Dayse Oliveira (United Socialist Workers’ Party), Marcelo Trindade (New Party), Pedro Fernandes (Democratic Labor Party), and Tarcísio Motta (Socialism and Liberty Party). André Monteiro (Brazilian Labor Renewal Party), Índio da Costa (Social Democratic Party), Luiz Eugênio Honorato (Workers’ Cause Party), and Márcia Tiburi (Workers’ Party) had confirmed their presence but did not show up. The first two did not provide a reason for their absence. Honorato said his car broke down and Tiburi said she got stuck at another engagement. Among those who did not confirm their presence, Anthony Garotinho (Progressive Republican Party) said that he had canceled his plans because he had a virus; Eduardo Paes (Democrats) mentioned a scheduling conflict, but supposedly met with leaders in Alemão behind closed doors the following day; Wilson Witzel (Social Christian Party) questioned the Favela News Agency about the security of the venue and later cited a scheduling conflict; and Romário Faria (Podemos)—the famous World Cup soccer player and the only candidate born in a favela—did not respond to the invitation. 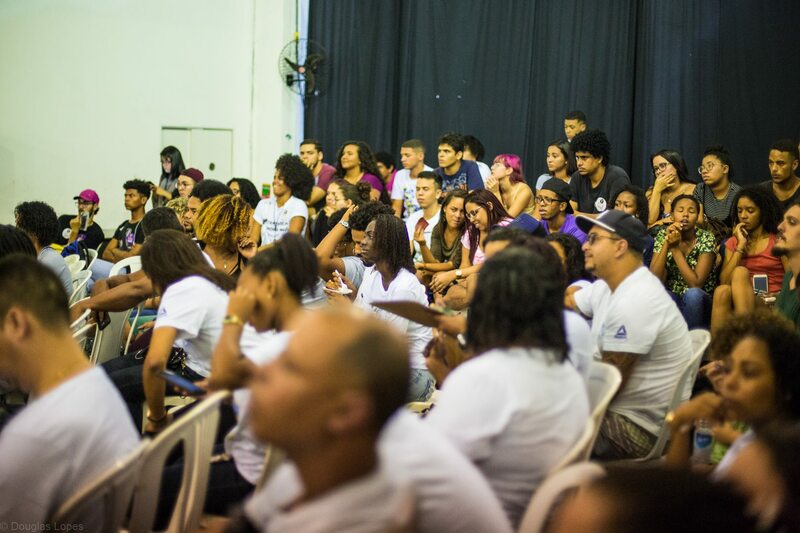 Three days later, with a full audience this time, there was another debate between gubernatorial candidates in a favela: the Maré Arts Center had a full house for the Debate with Candidates in Maré, promoted by the ‘No More Violence, Another Maré is Possible’ Forum. In the audience were dozens of young people—many of whom will vote for the first time—from community college exam preparatory courses. Unlike the audience, however, the stage was not full. While there was no police operation in progress, again, only four candidates appeared: Dayse Oliveira (United Socialist Workers’ Party), Ivanete Silva (candidate for co-governor, Socialism and Liberty Party), Luiz Eugênio Honorato (Workers’ Cause Party), and Márcia Tiburi (Workers’ Party). 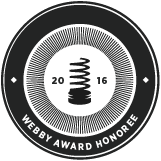 The other candidates did not accept the invitation. 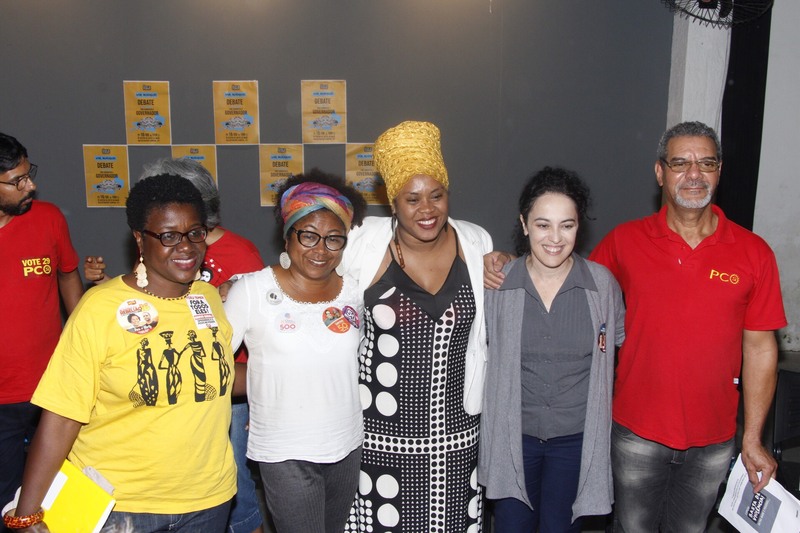 The organization that organized the debate in Complexo da Maré highlighted that three of the four candidates present being women is a fact representative of the political moment in which we are living: “I am the only black female candidate,” said Dayse Oliveira, noting that Silva—also a black woman—is officially a candidate for vice-governor. Similarly, Marcelo Trindade had said that “confrontation is instinctive, and what we need is intelligence, not instinct” through planning and goal-setting. He added that we are “doing something ineffective and people are dying every day.” Oliveira proposed that police chiefs should be elected [to their positions] and that the police forces should be demilitarized. Pedro Fernandes proposed to do away with Pacifying Police Units (UPPs)—which according to him are “misguided, expensive, and inefficient”—and to redistribute resources to strengthen battalions. In Alemão, Oliveira and Fernandes agreed that violence can be combatted with opportunities and jobs. Also with regard to education, at the debate in Maré, Tiburi proposed the implementation of a program called Second Chance, providing scholarships so that young people with low attendance records remain in school. 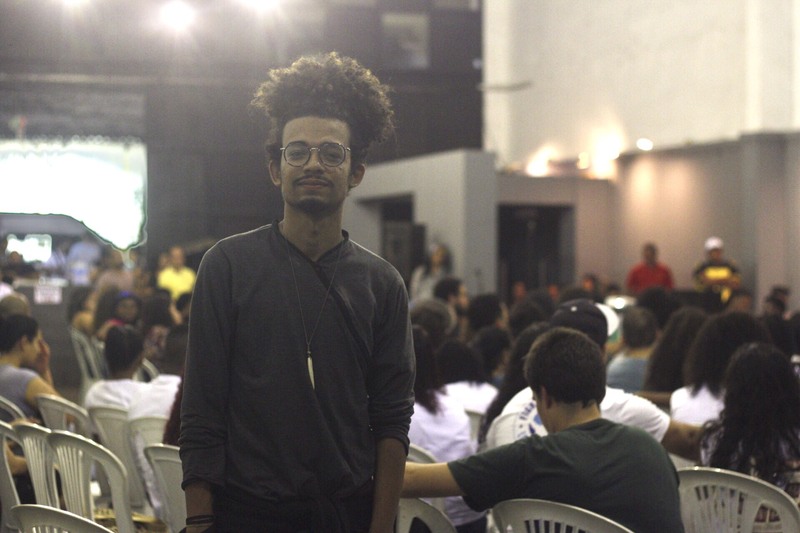 At the debate in Alemão, Fernandes proposed paid internship programs and full-day education with athletic, cultural, and pre-professional activities as alternatives for adolescents to develop vocational skills. Oliveira proposed higher quality public education, both with regard to textbooks (which should be edited by public rather than for-profit publishers) and teacher preparation (in her view, teachers should return to university to be reaccredited every five years). Also on the intersection of education and public security, candidates were asked about their proposals for prevention, both in terms of health and safety, in questions raised by young people and community journalists from Maré. Beyond missed classes, they cited the case of a young man who died of tuberculosis in the community and the absence of nurses in public schools, among other instances. “We are all sick. We are sick because of the open sewage, because of the water that doesn’t arrive at our houses. Violence interferes with our health,” said Silva. 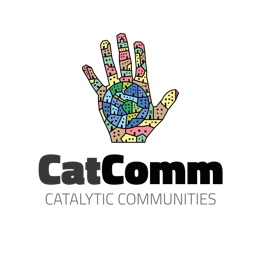 For Trindade, the universalization of sanitation can only be achieved with the controversial privatization of the State Water and Sewerage Utility (CEDAE). Another issue that came up was violence against women—both domestic violence and police abuse, with invasive searches conducted by male police officers and the invasion of homes when women are sparsely dressed, having thought themselves to be in the privacy of their own homes. “The Maria da Penha Law [to combat domestic violence] does not exist—neither within the favela nor outside of it,” said one spectator. In response, Oliveira said that beyond protecting women from aggression, it is necessary to “free women from domestic slavery,” constructing community preschools, restaurants, and laundromats, as well as shelters to welcome women who feel threatened. Finally, a student from Maré asked a question about public authorities’ misplaced priorities in favelas—such as a bicycle path that is simply painted on the street, the announcement of an ecological park in Maré, and the proposal to bulletproof schools—without the participation of residents in these decisions. In response, Oliveira proposed to form popular councils in these territories to discuss funding allocations and priority areas. This article was written by Luisa Fenizola, and published on September 28, 2018.